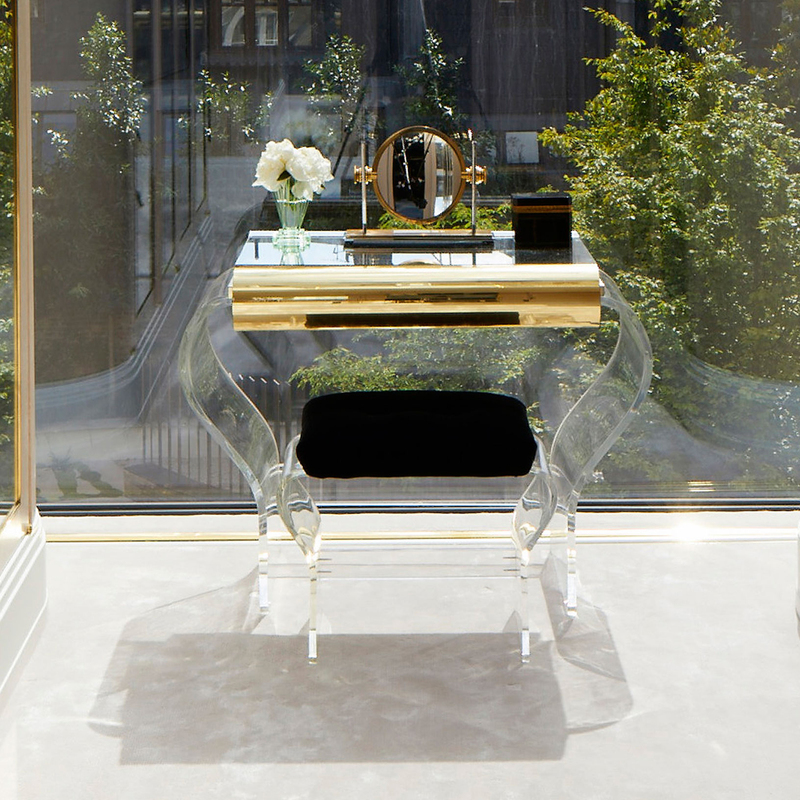 Cool, smooth luxury from California. 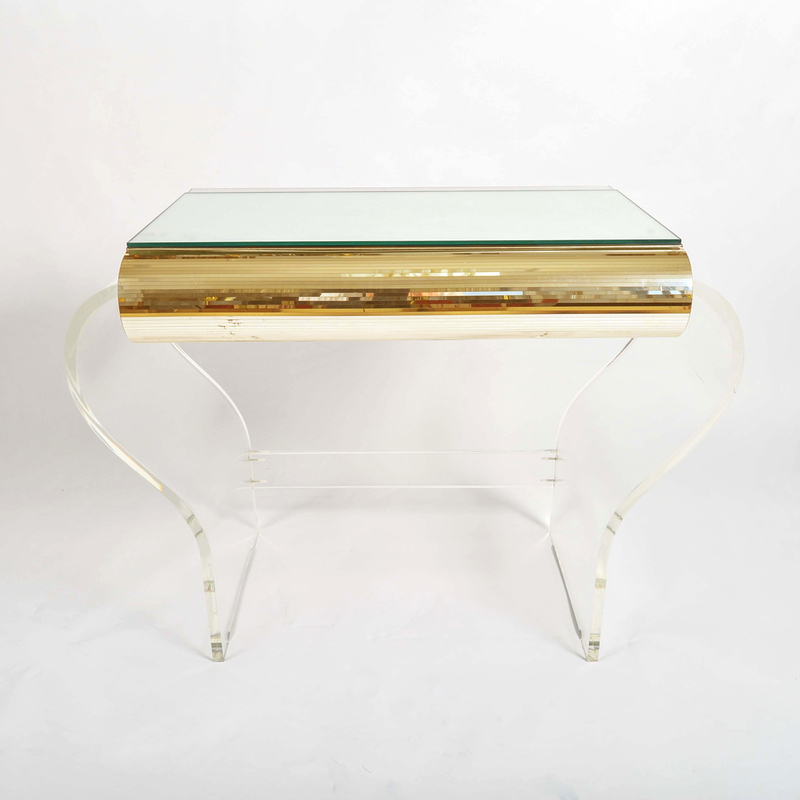 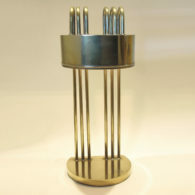 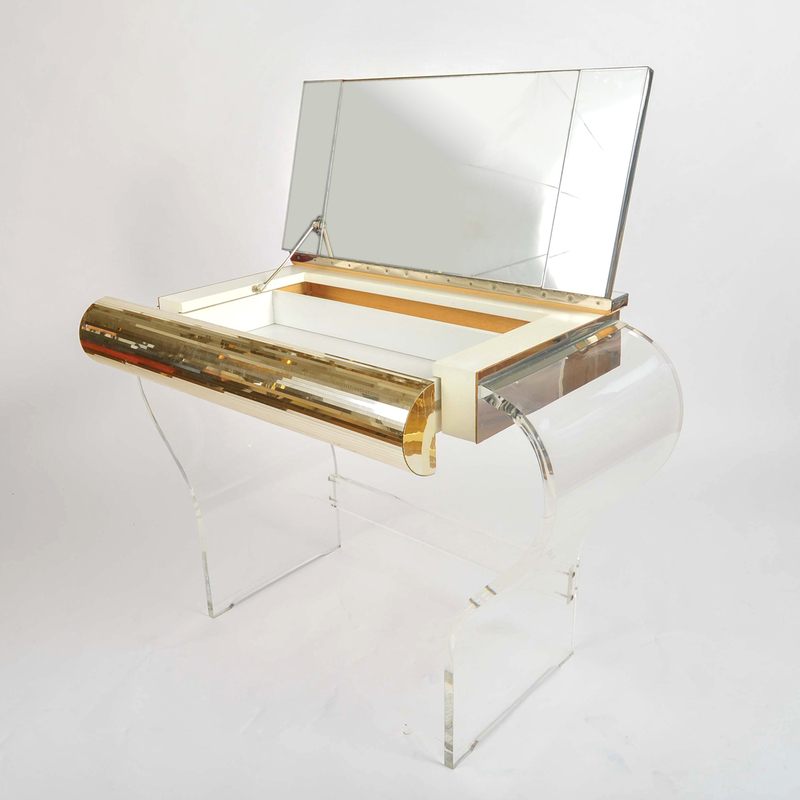 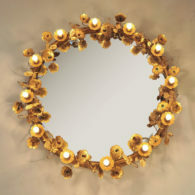 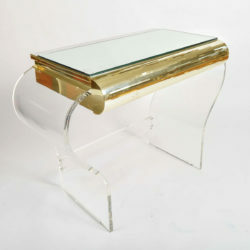 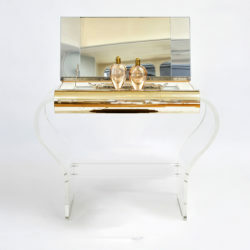 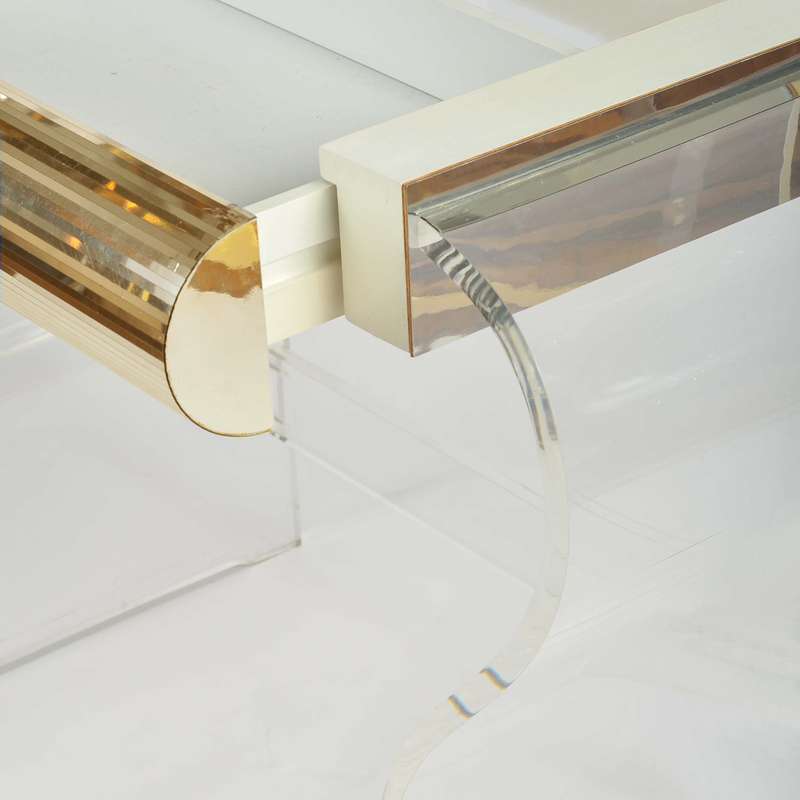 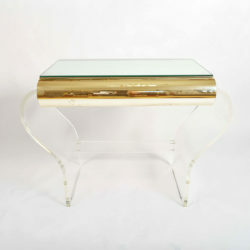 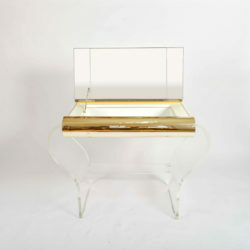 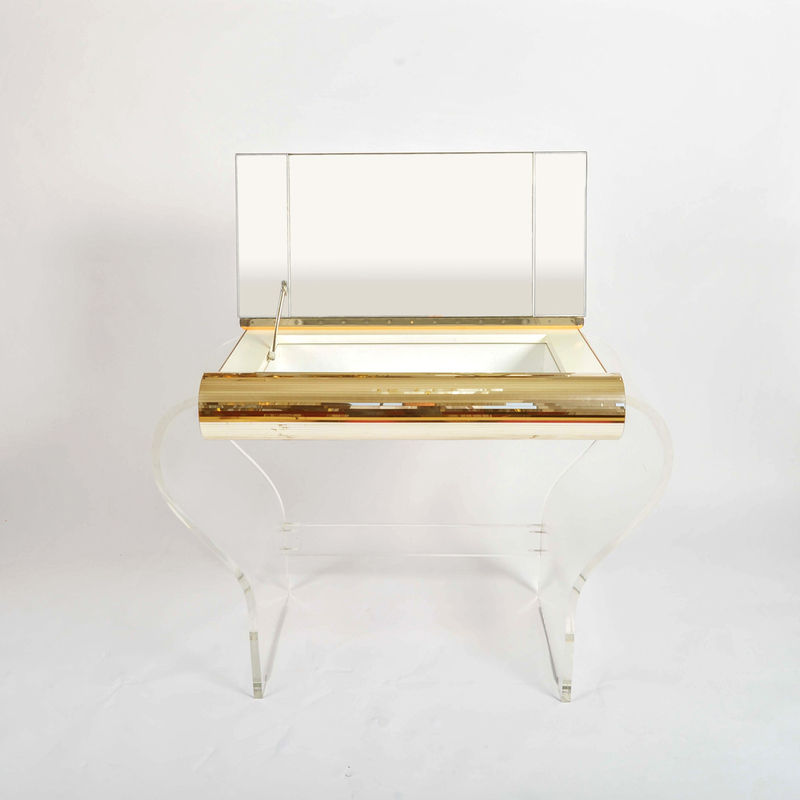 1950’s clear Lucite mirror and gold dressing-table. 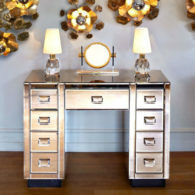 The two-sided mirrored top opens up for maximum reflection and the gold striped central drawer allows added room for cosmetics and bijou. 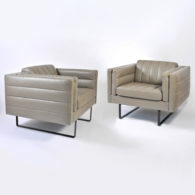 Looks equally glamorous with the top open or shut.